Keep up with the most recent happenings in and around Villa Thalia. Check back here often for the latest news. 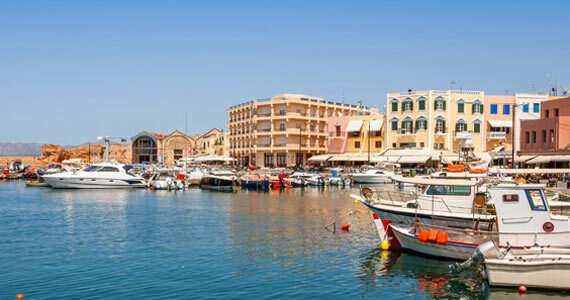 Details of the 2014 flight schedule for the summer season is shown below as a guide for guests planning a holiday to Crete, Greece. This is just a guide and guests are asked to check flight details, flight times, prices and availability with the airlines or their travel agent. Note direct flights only operate during the summer season. There are also options of flying via Thessaloniki (Greece’s second city). British Airways operate flights from London Gatwick. From Athens (or Thessaloniki) domestic flights are operated by Aegean Airlines and Olympic Air on a daily basis all year round. We recommend that, if you travel via Athens or Thessaloniki, all flights are on the same ticket so that if your first flight is delayed, and you miss your second flight as a result, you do not have to purchase a new ticket for the missed connection. Alternatively, make sure you have sufficient time to clear immigration, collect luggage, clear customs, check in for your second flight, clear security to get to your departure gate if you first flight is delayed. Or stay the night (or several) in Athens or Thessaloniki, contact us for recommendations if you need. This is a one-of-a-kind post. Vist out blog for more news and views! ← Previous post: New Year! New website! New Logo!